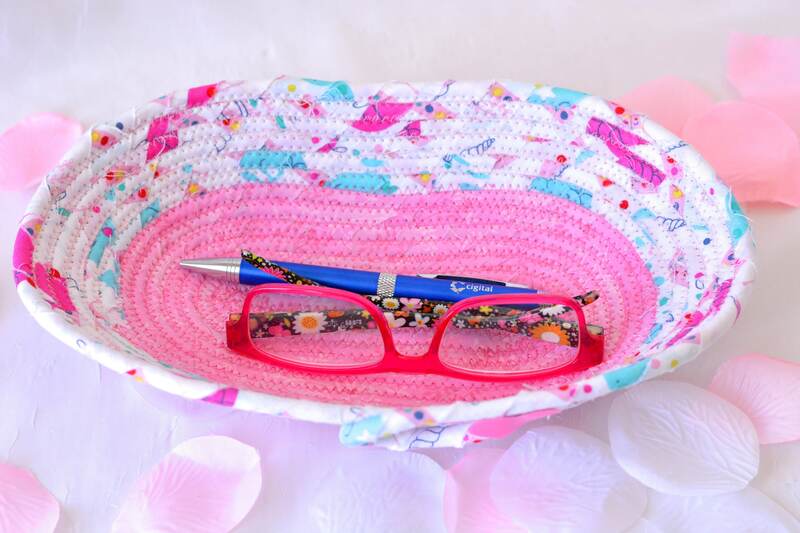 Lovely Eyeglass Holder! 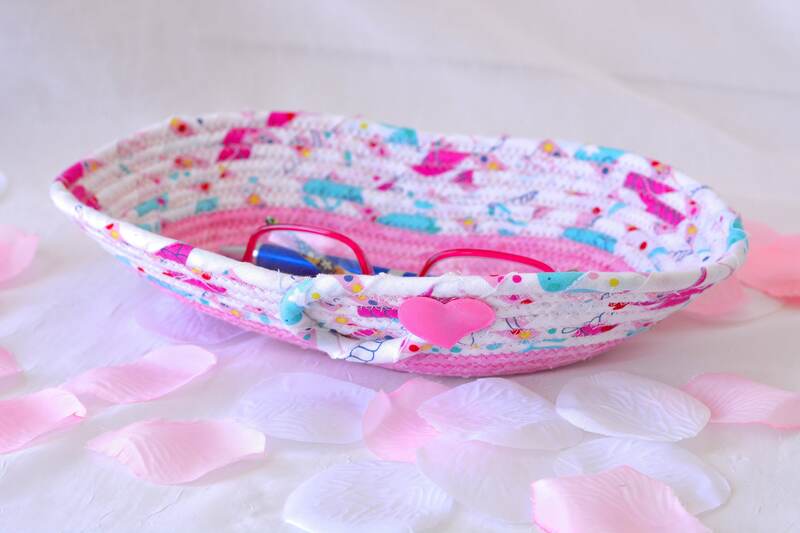 Cute Desk Accessory Bowl! Girl Gift Basket! Cute Decoration! Ring Dish! I hand wrapped this lovely floral fabric around cotton line, which I then hand coiled and machine quilted to make it sturdy. I used the raw edge technique with a little fray, adding a nice shabby chic texture. 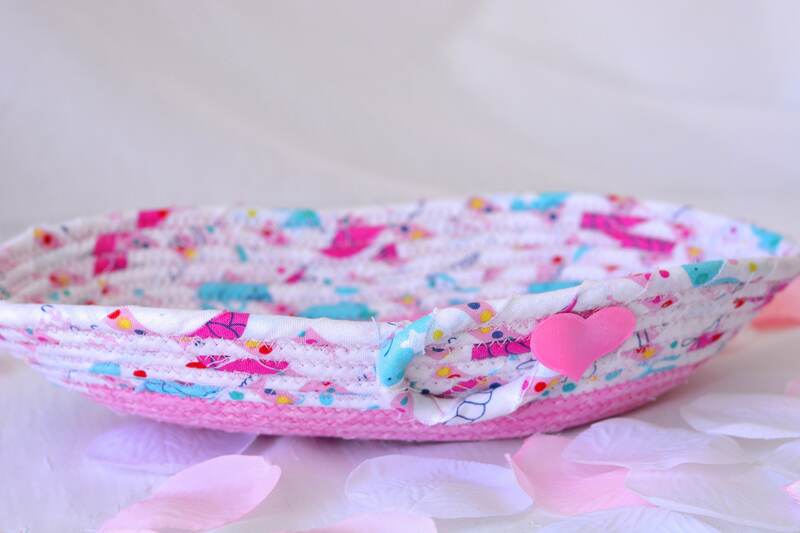 The cute heart on the basket is included for a nice accent. 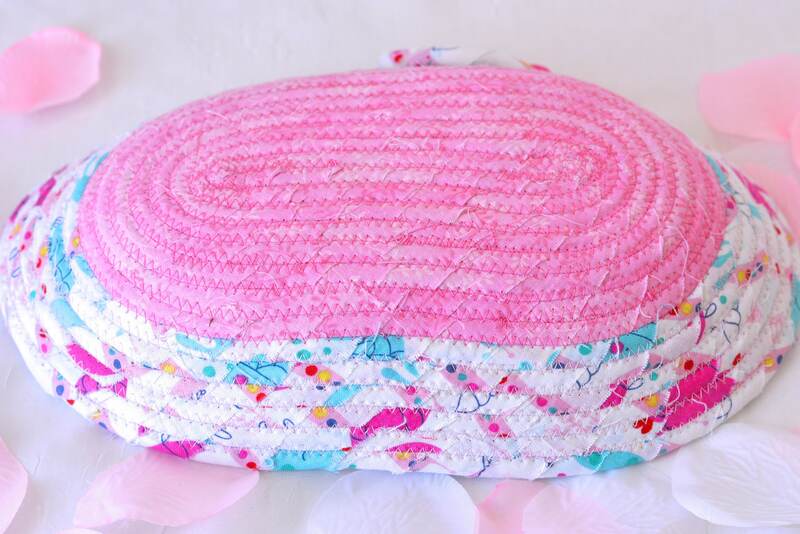 The pretty pink base fabric adds a lovely contrast and is also 100% cotton. 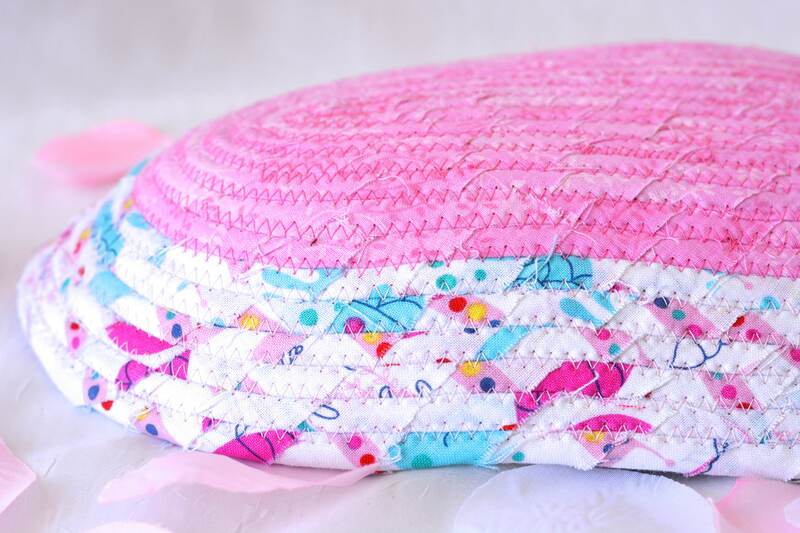 I love this cute dot fabric, it is 100% cotton and shows on the inside of the basket too! I wanted this for my niece who wears eye glasses. It's perfect - wider than I expected, but she loves it and now when she wakes up she can find her glasses! Thanks so much for making such a beautiful product.